The Union forever! Hurrah, boys, hurrah! 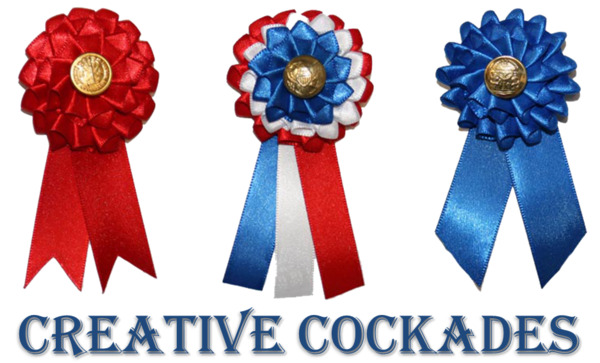 Men, women and children wore these patriotic rosettes during the Civil War to show support for the Union. 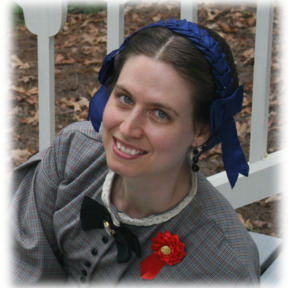 This beautiful cockade is based on original 1860s cockades. 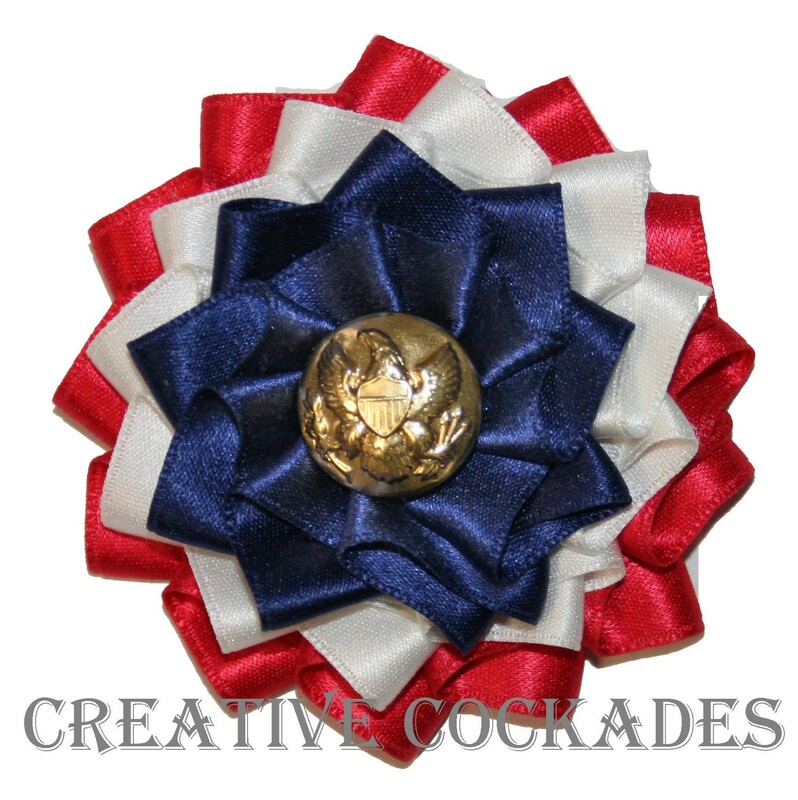 Lustrous satin ribbon, reproduction Union military button, hand-sewn onto period-correct buckram. Approximately 2.5" (6 cm) across rosette. Pin on back is silver-plated and 1" (2.5 cm) wide.